One of the most difficult problems to treat in the clinic is chronic pain related to tendinopathy. More specifically, the Achilles tendon, patella tendon and elbow extensors often present challenges for doctors and clinicians alike when it comes to effectively reducing or resolving pain. 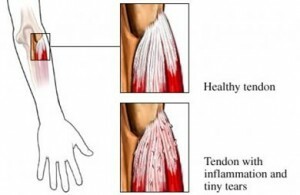 Over time, people develop chronic inflammation or even little tears in the muscles running up to the lateral epicondyle. Currently, my approach to treating these injuries involves an approach focused on soft tissue mobilization via instrument assisted soft tissue mobilization, stretching, strengthening and a trial of iontophoresis in most cases. We also offer dry needling at our facility and this has been effective in reducing pain. I will talk more about this point later as it relates to the prospective multi-center trial summarized by Mishra et al. in the February 2014 edition of the American Journal of Sports Medicine. 2. Blood is then placed in a centrifuge. The centrifuge spins and separates the platelets from the rest of the blood. The thought behind PRP is to increase the growth factors up to 8x, which promotes temporary relief and stops inflammation. The question is how successful and cost effective is this process? Consider that opting for surgery will run between $10,000 and $12,000 figuring in costs for the surgeon, hospital/surgery center, anaesthesiologist, etc. PRP injections will cost upwards of $1000, so one would think that would be a favorable option for insurers if surgery could be averted. 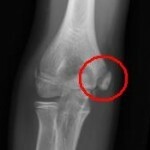 What about cortisone injections? They are widely used as a survey of 400 members of the American Academy or Orthopedic Surgeons found that 93% had administered a corticosteroid injection for lateral epicondylar tendinopathy. 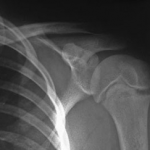 According to Bisset et al (Br Med J 2006) and Lindhovius et al (J Hand Surg Am 2008) cortisone injections do provide short term pain improvements but also result in a high rate of symptom recurrence. There are other potentially harmful side effects from injections including: reduced collagen synthesis, depletion of human stem cells, depigmentation, and enhancement of fatty and cartilage like tissue changes that can lead to tendon ruptures. So, the big question is whether or not tendon needling with PRP is an effective treatment option for chronic tennis elbow suffers. Mishra and his colleagues set out to examine this with a double blind, prospective, multi-center randomized controlled trial of 230 patients. In the study, the patients were teated at 12 different facilities over 5 years. All patients had at least 3 months of pain/symptoms and failed conservative treatment.